Waiting for your turn, spending a good amount of money…and that’s if you even make an appointment and can get away for the time it takes to get them done! Want an easier, cheaper solution? Scroll down and you’ll find them; the best at home gel nail kits are just waiting for you to give them a home! Now that you’ve had a look at the best gel nail polish kits for at-home use, you’re probably curious to know more about some of them! Scroll down for in-depth, unbiased reviews of all of our favorites! The MelodySusie 12W Nail Dryer is one of the best at home nail kits out there that we found. Why? Mainly due to the fact that it works so well and is so versatile, given how low its price is. 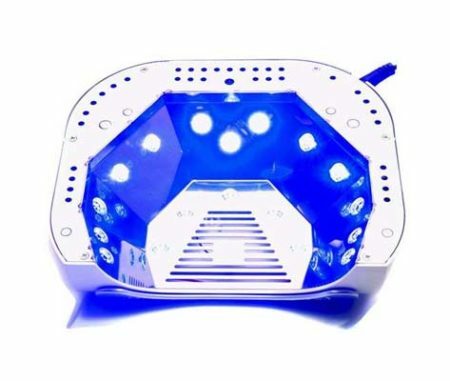 It comes with the 12w LED nail lamp, a power adapter that goes from 110V to 240V, so it can be used overseas, cuticle nippers, a user guide, as well as a handy 1-year warranty card! 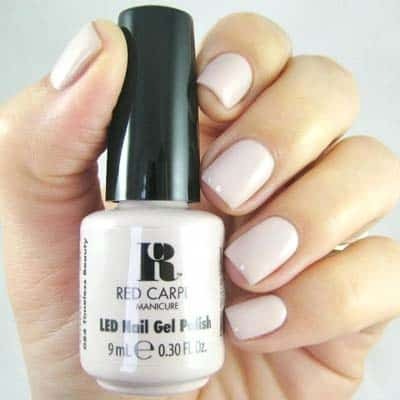 You may notice that it does not come with the gel polish. This is probably the biggest downside for us, but it can be used with any LED-curable gel polish, and the upside to this, is that you can choose exactly the shades you want, rather than going with whatever comes in the box. The lamp features 4 different timer buttons, which are conveniently located right at the top of the lamp. You can choose between 30, 60, or even 30 minutes. You’ll change the settings depending on the polish you select. The polish bottle should generally indicate how long you’ll need to cure it. It doesn’t have a sensor that begins when you put your hand in, so you’ll have to press the timer button yourself. It’s a bit of an inconvenience, but not a big deal. However, it does turn off after the allocated time is up, so you don’t have to worry about that. For the price, it’s a pretty good deal, however, we would have liked to see some gels included, but that’s okay. The kit overall is pretty user-friendly and straightforward to use. While it could’ve done with a sensor, it’s not a big deal, especially considering how inexpensive it is. The lamp does only fit four fingers in rather than the whole hand, as many others have the ability to do, but again, it’s not a deal-breaker. We would’ve liked it to have been more travel-friendly, too. The cord is a bit on the shorter end, and even though it is pretty lightweight, it’s just a bit too big for many users’ needs. The bottom line: it does the job well, and is pretty versatile. It is relatively lightweight and can be used internationally, but keep in mind that it is bigger than many competitor options. 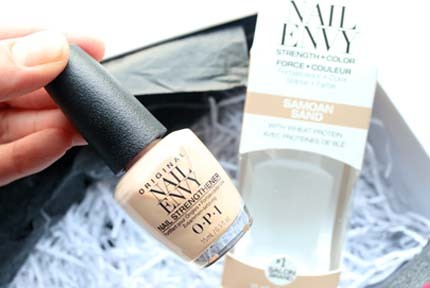 Sally Hansen is one of the most reputable beauty brands on the market, and with that being said, they consistently put out reputable, high-quality products. Their Salon Starter Kit is no exception! This kit has everything you need to get started, and it doesn’t skimp on the quality. 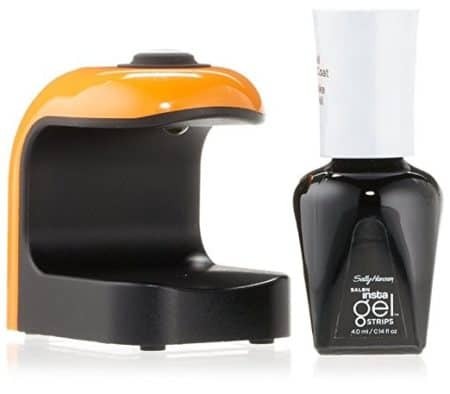 You’ll be able to perform up to 10 salon-quality gel manicures in the comfort of your own home! It even comes with your choice of nail color; you get to choose 3 from 21 gorgeous shades! How long does each application last? You’ll get up to two weeks of wear time with each manicure, and you’ll enjoy perfect, chip-free nails. Each one is shiny and clean-looking, just like a mirror! We have to reiterate that we love trying stuff from Sally Hansen, solely based on the fact that we’re never disappointed. They always put out products that should honestly be priced much higher than they are and we’re definitely not complaining. 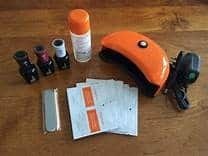 If you genuinely want to save money with a wonderful alternative to going to the salon, then check this nail gel system out. 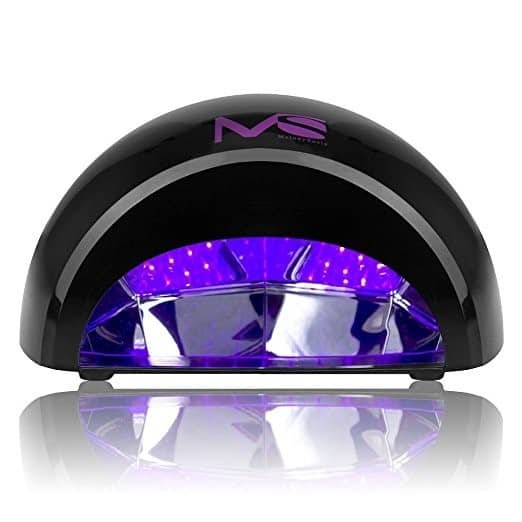 It features: cleanser pads, a base coat, the color of your choice (you get to choose up to three different colors), a top coat, a remover, a cuticle stick, buffer, and alcohol cleaning pad, along with the obvious LED light! First off, we have to mention that you do need to remove any remaining polish on your nails before you get started. Each bottle is numbered 1 through 3. One is the base, two is the polish, and three is the top coat. We found it much easier to just complete one hand at a time rather than doing them both step by step simultaneously. Make sure you file over your nails, so that there are no bumps, as well as the included cleaning pad to take away any dirt and other debris that could be on your nails. After that, we found it most effective to use one thin coat of polish at a time. So, one thin coat, and take them to the lamp. Repeat this until you’re satisfied, but we found two coats to be enough. After that, you’ll want to apply the top coat and put it under the lamp, then finish off with the cleaning pad again. How simple is it to operate? The LED lamp is very user-friendly; there’s no timing necessary. All you have to do is simply press the button located at the top of the product, and it will turn automatically turn off after 30 seconds. Unlike the last product, there aren’t various options, but we didn’t have an issue. That there were no air bubbles with a glass-like finish. Application is also very easy and goes on near-perfect. We didn’t experience a full two weeks of wear time, chip-free. We went on average, about 6-7 days with perfect application, but after that we did notice some chipping around the edges/corners. There are various reasons why the Gelish nail kit (Pro). Overall, however, it’s undoubtedly the most complete kit that you can find out there, and it has everything you could ever want; not just in an at home nail kit, but with any manicure. 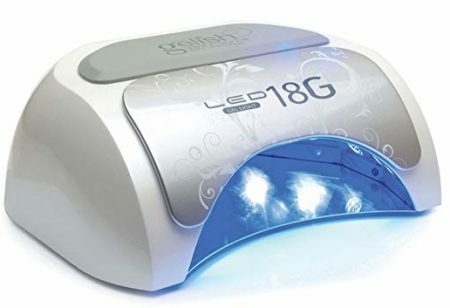 The LED 18G Gel Light is specifically made for quick and efficient gel curing, and even more so for the high performance Gelish Soak Off Gel Polishes. Each of the included products are of professional quality. For example, their included tray is acetone-resistant, and magnetized for sanitation purposes. This is especially useful if you’re planning on using this for not only yourself, but others in your household. If you want, you could even use it for your own clients! The tray features finger stoppers, which lead the hand into perfect placement, which helps to give a flawless finish, each time. It can cure all 5 fingers at the same time, can be used on toes, and is also toted as the fastest in the industry! Well, we have to say, pretty much everything that Gelish had claimed, they either reached or exceeded. With that being said, it’s quite easy to see why we loved it so much. 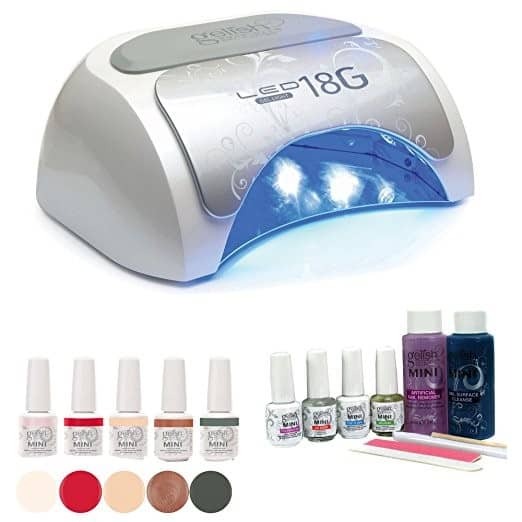 It comes with the famous Gelish LED Gel Light, a Top It Off bottle, foundation liquid, pH bond, Nourish, Artificial Nail Remover, as well as a Cleanser. They’ve also thoughtfully included an Orangewood Stick, mini wooden file, plastic pusher, prep tabs, as well as polishes in: Night Reflection, Rose Garden, Tasty Eggplant, Caution, and Do I Look Buff. As you can see, it has everything you could want or need from a gel nail kit! We found it simple to apply thin coats of polish and have it stay on well, with no bubbling or dullness. It’s overall very user-friendly, and although it does come with a huge selection of materials, the kit is very intuitive and great for all levels of experience. How long did the perfect finish last? In our experience, it was 2 weeks, more or less. What weren’t we huge fans of? Honestly, the price. While it is a very complete kit, it does come with a pretty comparable price! 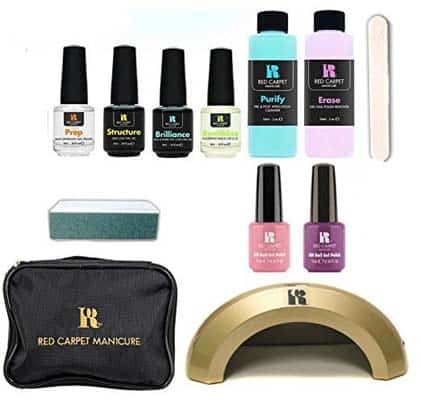 If you want a professional gel nail kit that you can take with you anywhere you go, then do yourself a favor and check out the Red Carpet Cinderella Polish Manicure Set. This Professional set contains a Limited Edition Gold LED Light which cures in 45 seconds, a black travel bag, a manicure essentials kit, a max adhesion nail primer, a structure base coat nail gel, a brilliance seal and shine top coat nail gel, a revitalizing and nourishing nail and cuticle oil, a purifying pre and post application cleanser, an erase gel nail polish remover, as well as two limited edition shades, a 1-inch square mani Shiner Shining Block, and a white nail file. The set provides a well-rounded manicure, and ensures you have weeks of a perfect application with no chips or peeling! To remove, simply soak off in a mere 10 – 15 minutes! While it’s not dubbed as our best “budget product”, it’s definitely one of the most affordable on the market today, given how complete the kit is, and how great it is for traveling with it. The kit has enough product to get you in for 20 manicures in the comfort of your own home! Make sure before you begin, that you push your cuticles back and use a nail file to shape and buff your nails to your liking. Also use the cleanser to remove dirt and oil, wipe away with a lint-free pad, and brush on the pH Nail Prep. Make sure to apply thin layers of each step, but as always, make sure that you’ve removed any extra product off of your skin before curing it under the light! Keep in mind also, that you can only fit four fingers under the light at once, so you’ll have to do your thumbs on their own. The clear top coat takes just two minutes to cure, and the whole process easily takes less than 20 minutes! It’s not ideal for beginners. If you’re a beginner, you can still see some great results, but they may be a bit more difficult to accomplish than some other options on our list. 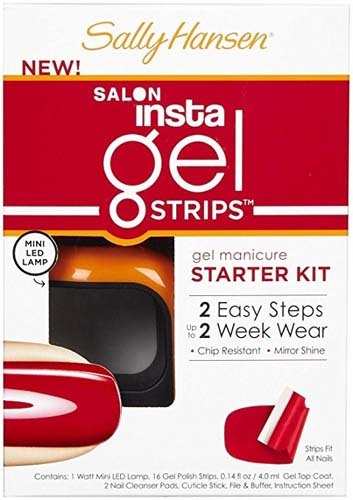 The Sally Hansen Insta Gel Strips gel nail kit with non UV light is the kit to go to if you’re looking for something very basic, yet effective. Sally Hansen has some great gel nail products, and while it’s not the most complete kit, it does come with all you need for a great at-home manicure. It comes with a mini LED lamp, 16 gel polish strips, a gel top coat, 2 nail cleanser pads, as well as a cuticle stick and file. You get to choose between three different color options: Red My Lips (classic red), Shell We Dance (light pink), and Wine Not (shimmery burgundy/purple). In essence, it’s a 2-step gel manicure in one simple strip. The strips fit each nail well, and provide up to two-week, chip-resistant wear, with an impressive shine. 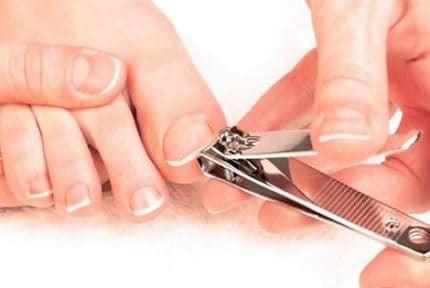 One huge benefit of this is that they don’t damage nails at all, and can be easily removed with acetone remover, with no chemicals like formaldehyde or DBP. We have to reiterate that this is a great product, but only if you’re looking for something reliable yet basic. They’re great for beginners who aren’t feeling confident enough to do it completely on their own, or for those who would prefer to go the less-damaging way. The process is very easy, as you just have to clean your nails and use the corresponding gel polish strips by placing them at the edge of the nail bed, then smoothing and stretching accordingly. Use the included cuticle stick and buffer to remove any excess hanging over the edges. After that, you’ll want to apply the top coat and seal it with the mini LED lamp until it automatically shuts off. To finish it up, use the nail cleansing pad to get rid of any tackiness. The whole process is actually very easy. If you’re worried about the others being too complicated or messy, you’ll love this one. That it doesn’t come with a full array of products that the others do come with. What’s The Best Gel Nail Kit For Me? Now that you’ve had a look at each of the best at home gel nail kits, you may have already decided on the perfect one for you. However, if you haven’t, you may just need some more guidance in deciding which one is right for your needs. Most of the major nail polish brands have decided to take a crack at the at-home gel nail polish kits. While that’s definitely convenient to have more options, they vary in terms of quality and completeness. Take a look at the buying guide we’ve created, below, so you can be assured you’re receiving the right kit! 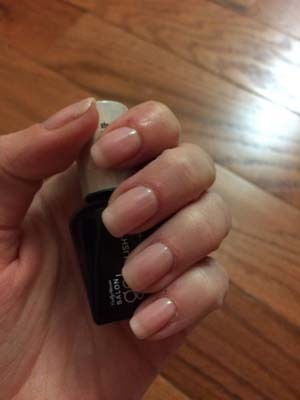 Have you done your own gel manicures before? Or is this going to be your first time? Sometimes just a bit of nervousness or inexperience can mean the difference between satisfying results, and a mess that will leave you feeling frustrated. Many don’t take this into consideration, but we all know that when something frustrates us, it oftentimes discourages us from trying it again, or trying it as often as we otherwise would. If you are a beginner, we’d recommend going with a kit that’s less complete/complicated. The more products that are included, can often seem a bit overwhelming when it doesn’t have to be. The Sally Hansen Insta Gel Strips is a great choice for first-timers, as it’s not nearly as messy, and has a much higher chance of success. Think about this before you even begin looking. How much do you want/are willing to spend on your new at home gel nail kit? We recommend factoring in a few things into your budget. For example, think about if the kit you have your eye on comes with a polish included. It’s even better if it has a few different colors included! While it may not seem like a big deal, it means you’ll be saving money on buying them on your own. Not only that, but think about how complete the kit is, as well as how long it will last you. How long is the wear time of each application? How many manicures are included in the kit? There are various other factors to include, such as the voltage, strength of the LED, and portability. If you’re traveling overseas frequently, you may enjoy bringing your nail kit along. If so, then it will have to fit a certain voltage, or else it’s not going to work. You’ll also want to consider how portable it is. No one wants to lug around an extra item that increases their load substantially, or is just awkward to carry. Most of the kits are relatively lightweight, but not all of them are sleek and easy to fit into luggage or a carry-on bag. So, which one of these at home gel nail kits is the best one for you? If you’re still on-the-fence about a couple, let us reiterate how much we loved the Gelish Pro Kit. Gelish is probably the most well-known name in the at-home gel nail kit industry, and there are plenty of reasons for that. One is that their products are very well-made and durable. Not only that, but they’re user-friendly and comfortable. Aside from that, this kit is the most complete we’d found. It has everything you need for an amazing, quick, beautiful manicure, and more. 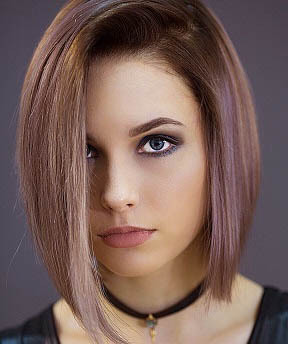 There are a bunch of gorgeous color options that aren’t very common, and actually, come with the kit, so you don’t have to fork out more money to buy them separately. Really, the only downside is the price, but as it does last longer and you get many more products, we feel that it is worth it. So, which one of these best at home gel nail kits will be making their way into your home?